The United Arab Emirates will seek to encourage both investment in space ventures in the country as well as investment by domestic funds into the broader space industry under a new plan. The “National Plan for the Promotion of Space Investment,” announced last week by the UAE Space Agency, is part of a wider initiative to turn the country into a rising space power through projects ranging from a Mars mission to launching the country’s first astronaut. 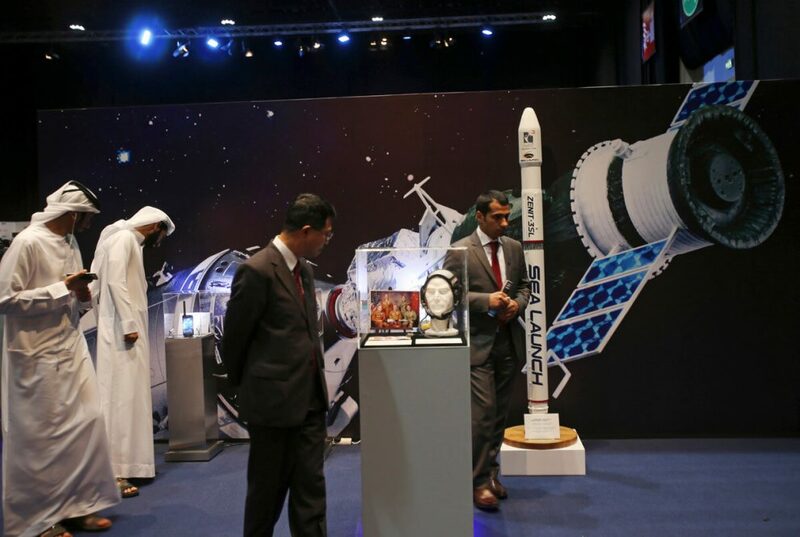 The plan seeks to encourage foreign investment in the UAE’s emerging space sector, while also encouraging the country’s own investment vehicles to invest in the industry, either within or outside the country, according to a statement from the space agency. It added that details about the plan will be released in the coming months, but will include creation of business accelerators, funds and specially designated economic zones. “The UAE Space Agency, as a federal government entity, will actively play the part of an enabler and facilitator to encourage local and foreign investment in the sector, and proactively design a conducive environment which ensures startups and investors feel welcome and have access to business in the UAE that can drive their growth potential,” said Mohammed Al Ahbabi, director general of the UAE Space Agency, in a statement. The space industry is not new to the country. Mobile satellite operator Thuraya was founded in the UAE in the 1990s, operating two satellites in geostationary orbit to provide voice and data services from Europe to Asia. Yahsat, a satellite operator also based in the UAE that operates three geostationary orbit satellites, acquired Thuraya in 2018. In 2009, Aabar Investments, an Abu Dhabi-based fund now part of Mubadala Investment Company, invested $280 million into suborbital spaceflight operator Virgin Galactic for a roughly one-third stake in the company. This has led to discussions, but no firm plans, to eventually operate one of Virgin Galactic’s SpaceShipTwo vehicles from the UAE. The UAE government has, in recent years, invested more attention, and money, into space initiatives, including the formation of the UAE Space Agency and establishment of a national space law. Among those projects is the country’s first Mars orbiter mission, Hope, scheduled for launch in 2020. The domestically built KhalifaSat remote sensing satellite, the first such satellite developed entirely within the UAE, launched in October 2018 on a Japanese H-2 rocket. The agency also recruited its first class of astronauts last year, one of which will fly on a Soyuz mission to the International Space Station. That mission was scheduled to take place this spring but has been delayed until the fall because of changes in the overall schedule of Soyuz missions to the ISS prompted by a launch failure in October 2018 that aborted the Soyuz MS-10 mission to the station.